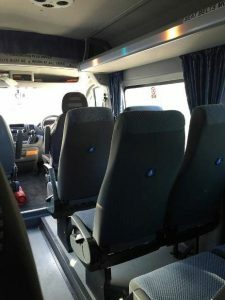 A company which provides an outstanding minibus and coach hire in Chester is difficult to search for when you’re online, but we assure you that our luxury coach and minibus hire in Chester is second to none. Chester has a great deal of landmarks and these include the East Gate Clocks, City Walls, St Werburgh’s Abbey, The Heritage Centre, Chester Castle, Chester Racecourse, Grosvenor Museum, various war memorials, Gate Way Theatre, Zoological Gardens, Chester Music Society and of course the famous Chester Zoo and so much more! Whether you’re looking for an airport transfer, sightseeing tour, day excursion or a shopping filled day with Chester filled with special mix of independent traders and more recognisable high-street brands. Bargains are a plenty in a lively and contemporary city centre. Whatever the occasion, trust that our Chester minibus services will provide you with a specialised service tailored to meet your needs. Here at W Travels, we want you to have a relaxing and comforting journey, so we do our utmost to make sure that happens. We have an outstanding team who are full of experience and well-trained drivers which have a good understand of Chester. Offering a comprehensive minibus hire service that is cost-effective and flexible. Whether you are a group travel organiser looking for minibuses or just hosting a party and wanting to take a group of people from one place to another, we can assist you. With 13 and 16 seater executive minibuses, you will get the highest standard of services every time So if you would like to book a minibus and coach hire in Chester, call us on 07855 624 303 or reach us via email w_travels@hotmail.co.uk.